On the right, Rev. Marquardt (in black) and Jayne Fenrich. On the far left is MVA’s lead organizer, Tracy Maynard. 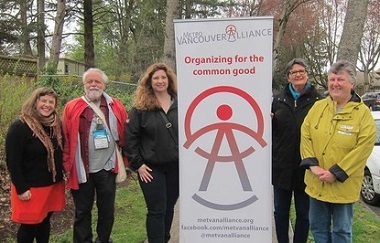 Anglicans have played an important role in Metro Vancouver Alliance (MVA), and they were out on the streets April 14 to inspect sidewalk safety as part of the MVA’s South Van Social Inclusion Sidewalk Project. The South Van Intergenerational Neighbourhood Walk was led by project co-chair Jayne Fenrich of St. Thomas Anglican Church. Sponsored by MVA and the City of Vancouver’s Pedestrian Spot Improvement Program, the goal was to learn how unsafe sidewalks contribute to social isolation, to raise awareness about how our sidewalks should work for everybody and to get a commitment from the city to take action to repair the sidewalks this spring. There have been increasing reports about the state of sidewalks contributing to people’s fear of falling. 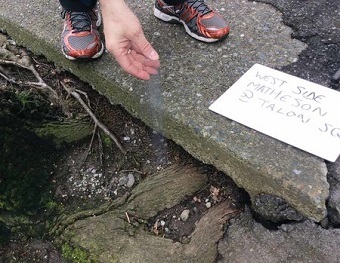 The focus of this particular walk was to inspect the state of the sidewalks in the Matheson/Arbor area of south[east] Vancouver. Jayne [Fenrich], Reverend Margaret Marquardt and others, with City of Vancouver Engineering and Transportation staff, had a very successful early afternoon looking at this growing problem that has gone largely unaddressed, particularly the social isolation aspect. Taking note of a badly worn and broken sidewalk. The South Vancouver cluster is made up of MVA member institutions in the neighbourhood – St. Thomas Anglican Church, South Vancouver Neighbourhood House, First Lutheran Church and St. Mary’s Catholic Parish. Each did a listening campaign [last fall] and heard from their members that social isolation was a major pressure facing families in the neighbourhood. We heard that sidewalk disrepair was causing social isolation among seniors and those with mobility challenges, such as needing a flat surface to use their a walker or wheelchair. Metro Vancouver Alliance is “a broad-based alliance of community groups, labour, faith and educational institutions working together for the common good.” I have written several articles about its work. Thrive Church meets in Richmond, but its vision clearly extends beyond the boundaries of its home city. The motivation behind GLV actually first came to me in a movie theatre back in 2012. I was watching The Dark Knight Rises and took note of that scene where Bruce Wayne (aka Batman) is recovering from his injuries while painfully watching on a TV screen as the city he loves is under attack. I had a Holy Spirit moment right there and then, where I sensed God say, “That’s the way My heart breaks for Vancouver.” That became the impetus for GLV, a community service campaign started by Thrive Church that is now in its sixth straight year. GLV is about catching more of God’s heart for our city and doing something about it. It’s fueled by the belief that God doesn’t just care about individuals, but as the Bible evidences repeatedly, God has a heart for cities. 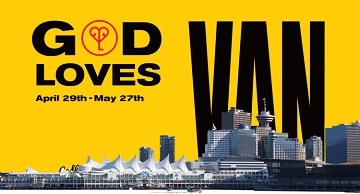 GLV is about showing God’s love for the people of Greater Vancouver. Through GLV we are encouraging everyone at Thrive Church and anyone else who is interested to step out of their comfort zones and serve the practical needs of people in our city. Go here to find out more about the events and to sign up. I’ve been waiting for this one. 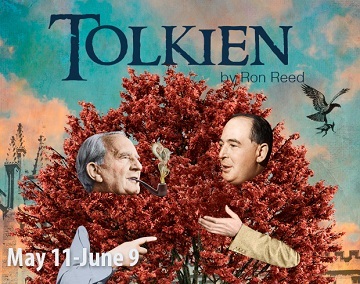 Pacific Theatre’s founding artistic director Ron Reed has dreamed and laboured over this play for years. I’m sure it’s close to his heart, and the two main characters are loved by millions, including me. Legends in wait, the worlds of Narnia and Middle Earth may never have come to be were it not for an unlikely friendship between J.R.R. Tolkien and C.S. Lewis. Over 30 years they pushed each others’ imaginations, faith and curiosity, growing together – and eventually growing apart. Where can friendship take us? The time has come to find out – at least to find out what Ron Reed makes of it all. I am counting on his years of hard work, attention to detail and control of his craft to steer us into renewed appreciation of the two men, their work and their characters. ← Harry Rankin, a man for our times?